Google keep changing their product features regularly, I don’t understand why Google need to change their product often. 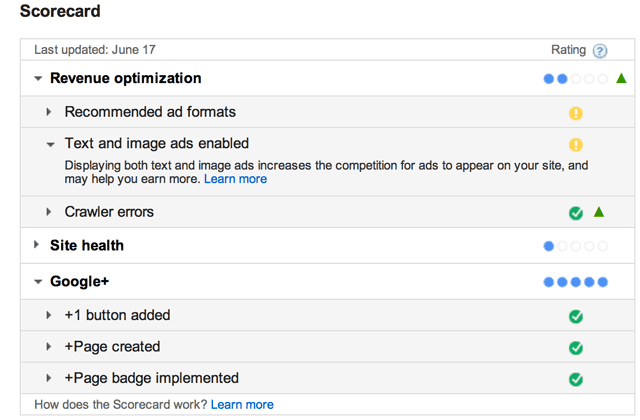 Now Google has announced a fresh program within the Google Adsense design to assists you compare your activity against other Google Adsense publishers, called the Adsense Score Card. In this new feature, the adsense score card will provide you a conclusion of how well your ad settings, webpages and site content are performing compare to other AdSense publishers. Google has broken this feature into three parts right now, revenue optimization, site health and Google+. If anyone want to learn and get more information about the score card click here and how it tracks varies over here. 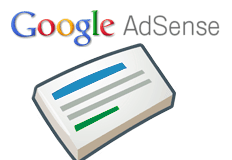 Is this feature can help the real publishers to improve their Adsense revenue? Most the peoples don’t feel that it provides all that much of a support to them.